Along with two friends that were breaking their Vegas virginities, never having been to Vegas before. 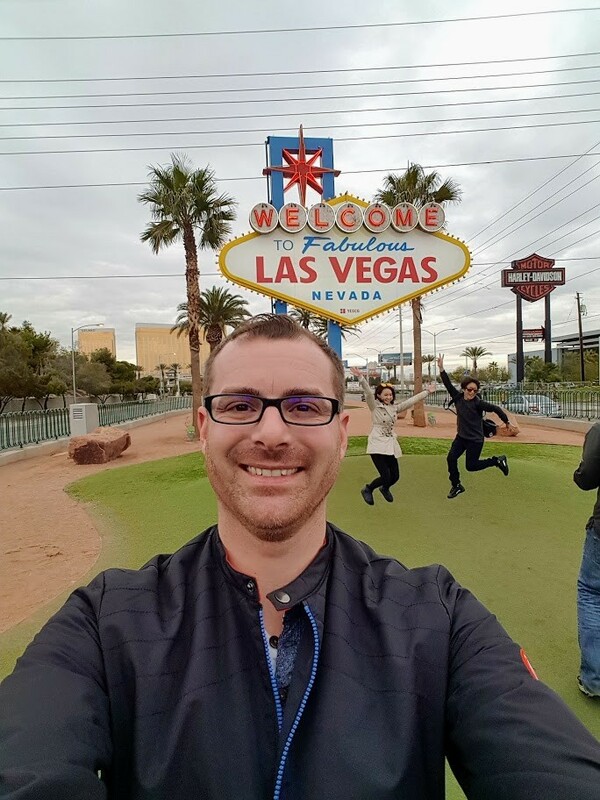 Of course we had to get the obligatory photo at the iconic Welcome to Las Vegas sign. It’s about a twenty minute walk from Mandalay Bay or you could just jump in an Uber/Lyft like us and then walk back. Tourists were standing in a long line dozens deep for the opportunity to have their souvenir photo taken underneath the 25 foot sign. We cheated and just stood slightly off to one side, didn’t fancy standing around waiting in that queue! The Welcome to Fabulous Las Vegas sign is a Las Vegas landmark funded in May 1959 and erected soon after by Western Neon. The sign was designed by Betty Willis. 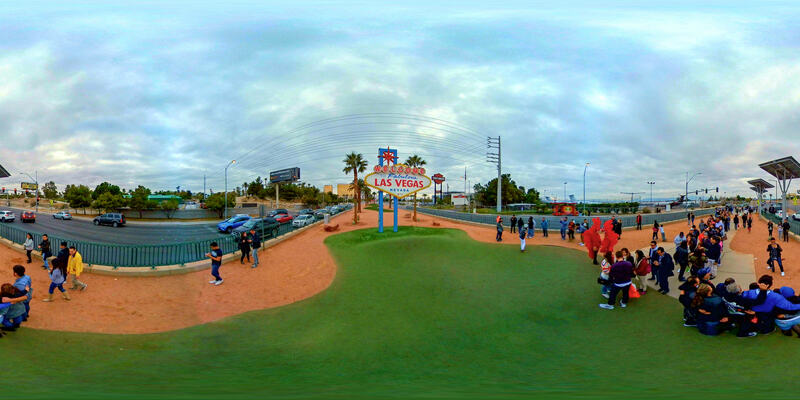 The welcome sign is not located within the City of Las Vegas, but is actually four miles (6.4 km) south of the city limits. I’ve put together a little list of 21 things to see & do if your unsure, check it out. There are two choices really, you can walk or jump in an Uber. I caught an Uber there and then walked back. If you don’t want to queue, just stand slightly off to one side. 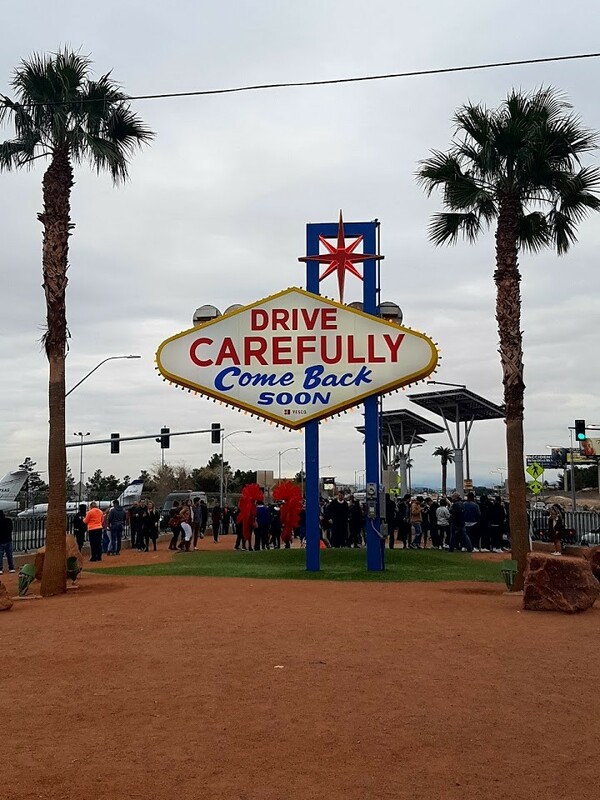 Have you been to the Vegas sign? Did you patiently queue or cheat like me?